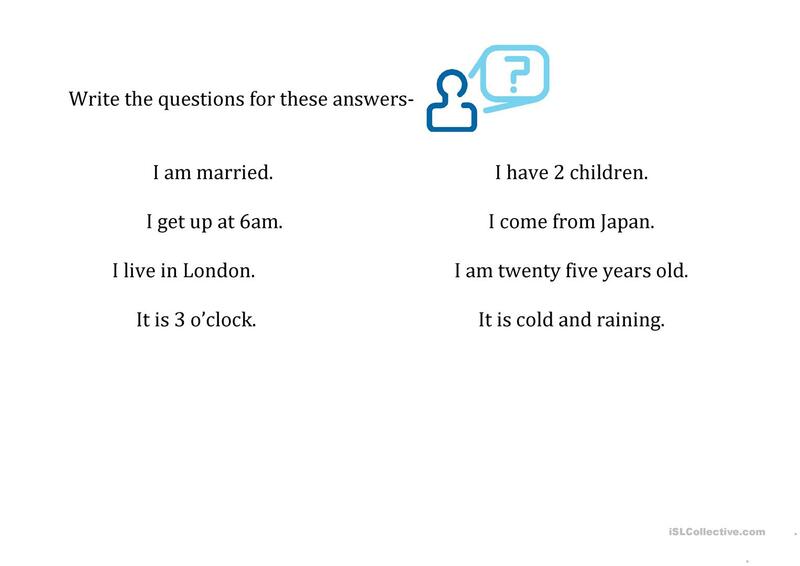 This is an activity where students need to write the questions for the answers. for example- I am 22 years old. Question would be- How old are you? 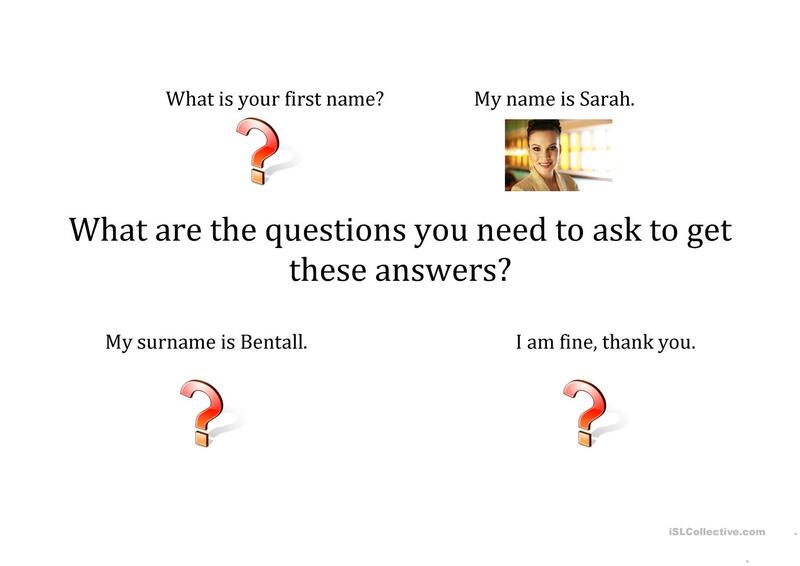 EXT activity could be to answer the questions yourself or ask other SS. The above downloadable handout is recommended for adults at Beginner (pre-A1) level. It is valuable for teaching Questions in English, and is excellent for honing your pupils' Reading and Writing skills.